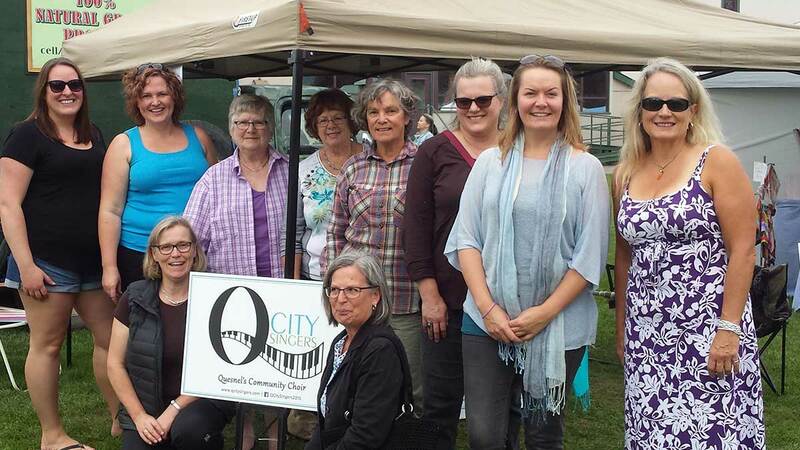 We are the Q City Singers – Quesnel’s Community Choir. 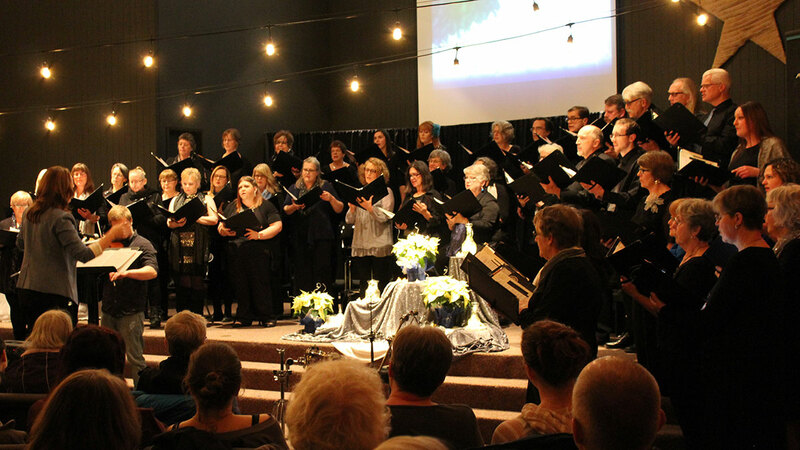 Our story began in the summer of 2015 when a small group of friends, fueled by a desire to sing, got together and started looking for enough like-minded folks in town to establish a small choir. The response was overwhelming, and the Q City Singers was born. 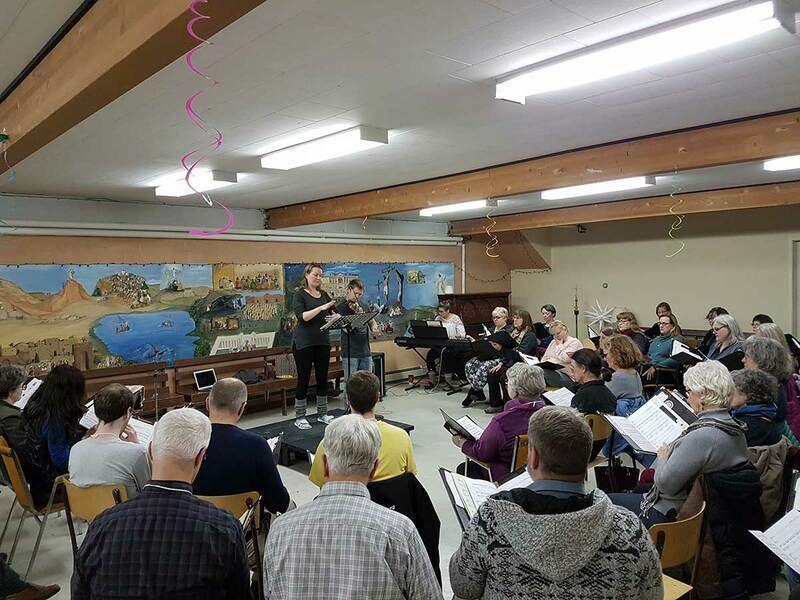 Since the choir's first practice that September, we have enjoyed learning and growing together, both in number and in skill...and we are looking forward to bringing choral music to the community for years to come! 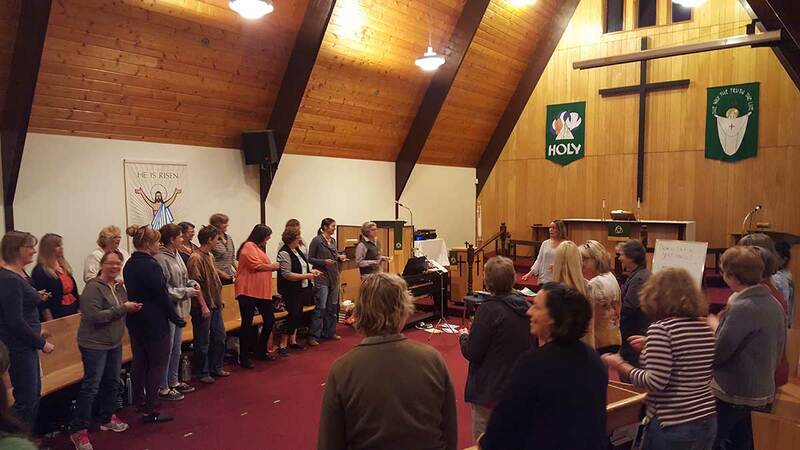 The Q City Singers is a member-funded society, and up to 60 singers join the choir each year. We feature a diverse group of mixed voices and a broad range of skill and experience. United by our love of singing, we strive to learn and grow musically in a fun and inclusive environment. Sure to appeal to singers young and old, joining the choir is a great way to get involved in the community! 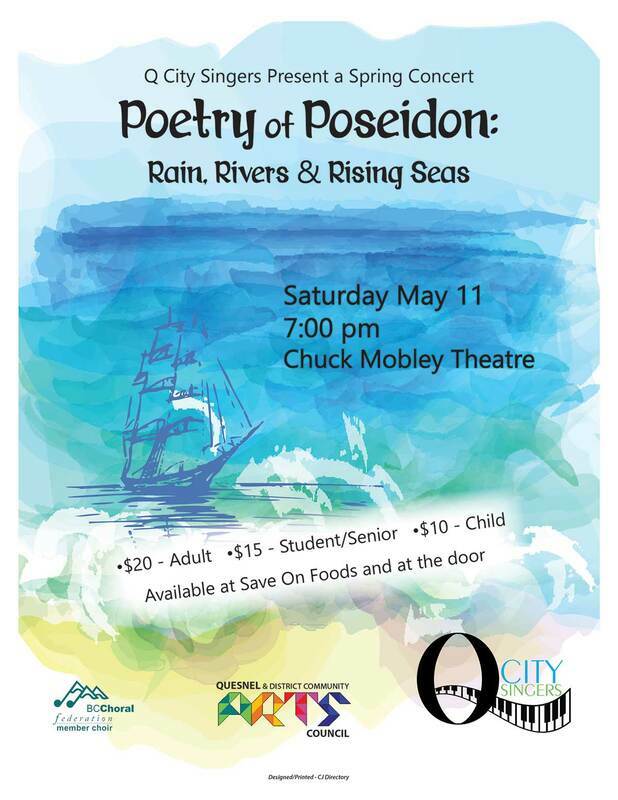 Rain, Rivers and Rising Seas"